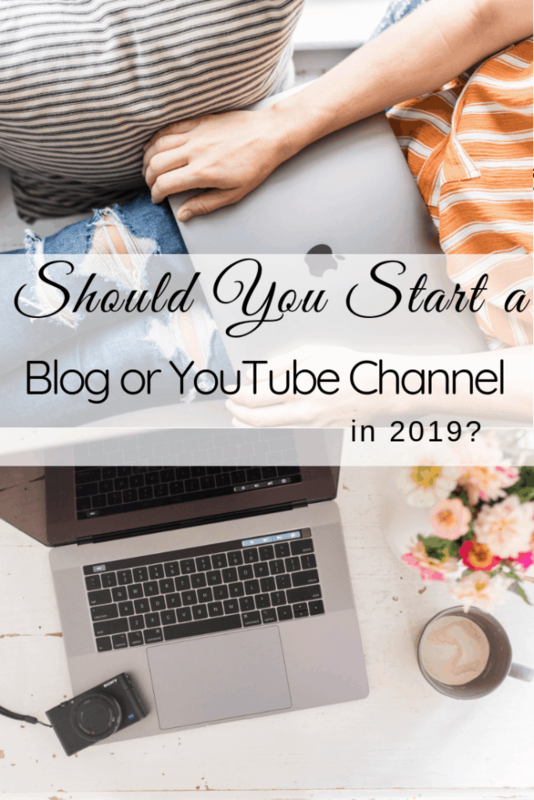 “Should I start a blog or Youtube channel?” is a question I get all the time. 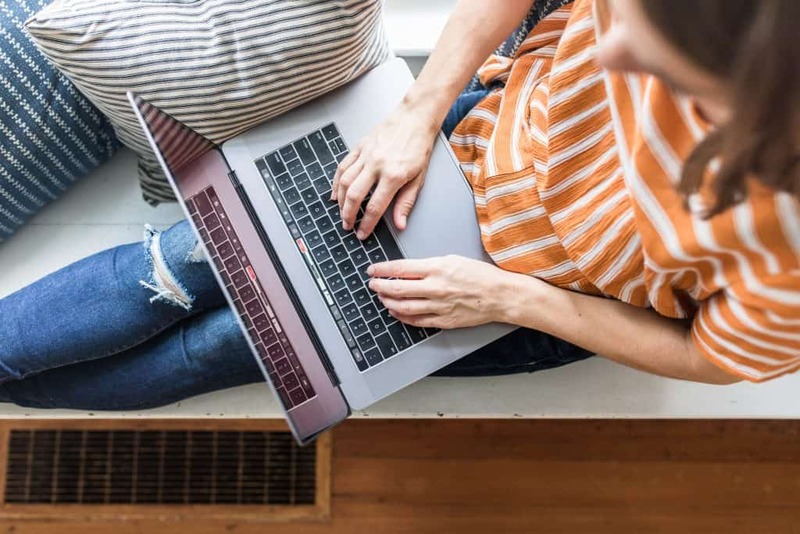 In this post, I delve into the benefits of starting a blog and a YouTube channel together to share your content with as many people possible. I’ve had a few questions from people during my brand new course launch, Create Your Blog Dream, who have asked me if they should start a blog or YouTube channel in 2019 and where they should put their focus because I have started both. In May, my husband quite his job for us to pursue blogging full time and of course part of our income is YouTube. This is actually something I have talked about with my sisters. They both have online business. My sister Laura, who has guest posted several times, is building a community over at her essential oil YouTube channel Our Oily House. She asked me the same question! Should I start my blog or my Youtube channel? The thing is, is that I don’t see why there has to be an either/or. Now I realize that you can spread yourself thin and you can’t really put your focus in many different places at once and expect any kind of growth. My thought process with the YouTube and blogging is that you are already creating content, so I would say put it in as many places as you can. So lets say you are going to make a video for YouTube. 1) You have researched a topic about a recipe or a DIY tutorial or a review of your favorite product, 2) you’ve recorded and edited the video, 3) taken pretty pictures of your project, 4) and you’ve created a thumbnail for the cover. I do not think it would be much harder to at this point write up a blog post. Everything that you said in the video can be written down in the blog post. You can add pictures and a recipe card if your post is about a recipe and a pin-able Pinterest graphic. I think while you are creating content, you might as well get leverage out of it and put it in as many places as possible. Now you can focus at growing one at a time. I know when I put all of my focus into YouTube about a year ago, my channel grew from two thousand to seventy-six thousand in one year. Lately, the growth has been a little less because I have been building my blog course and putting all my focus on that. My channel has still been growing and I have still been putting up two videos a week, but lately my subscriber growth has still been growing but at a slower rate than what is was growing. But, my Facebook, which I have been putting more effort into at the moment, has been growing crazy. There was a time when I was really focused on my Instagram and I was getting crazy amounts of followers. At this point, it still grows every day. I will take a pretty picture and spend a few minutes putting together an Instagram post, pop in on stories to connect with my audience, but my focus isn’t there so my following has not been growing as fast. Every time I create new content, say a new recipe, I take a picture and put it on Instagram, I make a video and put it on YouTube and Facebook, I create a blog post and design a pin-able graphic to put on Pinterest. I try to respond to comments as much as I can, and whatever place I focus on the most definitely grows the most. They are all still growing and my audience is growing wider. So my recommendation is to put your focus on one. Honestly, I think YouTube is an amazing opportunity right now. I feel like a lot of bloggers are not creating videos for videos and I think that is because they are thinking either/or. So, people who are in my blogging niche aren’t making YouTube videos which I think is a good reason why my channel has grown so much in the past year. I think focus on YouTube. That would be my recommendation if you have to think of a place to focus, but create your blog too! If you are already making the content, I don’t see why you wouldn’t do both. That is the choice my sister Laura made. She ended up doing her blog and YouTube channel. She is focusing on her YouTube channel. She already has thousands of subscribers, but at the same time she is also creating blog posts for each video which gives her readers another place to go. So she is sending people over from YouTube to her blog where they can print off recipes and join her email list. I actually talk a lot about an email list in my course Create Your Blog Dream. Every blogger needs an email list because if people watch your video and then leave, you can never reach them again in anyway. So if at all possible, you need a place where you can capture their email address. If you don’t create a blog, you can’t do that. You can kind of just lose people from your YouTube channel. You can get that random view and then lose that person and never reach them again with your future content. My sister Laura is also growing leaps and bounds on Pinterest. For every post she creates, she already had a video, she wrote it down in WordPress and put in pictures, she can now create a little pin-able graphic and get people to her blog and to herYouTube channel. It may take a couple extra hours, but it is worth it. For something that you have already created, it is definitely worth it to spend a few more hours to get it in front of as many people as possible. If I had to pick, I would say focus on YouTube channel, but definitely start your blog. The main reason why is love blog income is you can diversify it so much. In any given day, I am getting affiliate sales from a post I wrote a year ago, I am getting sales from my physical products from my Farmhouse on Boone Shop, and from my digital products. I am getting sponsorship opportunities from people who want my Instagram post, or my YouTube, or my email list, or my Facebook post. 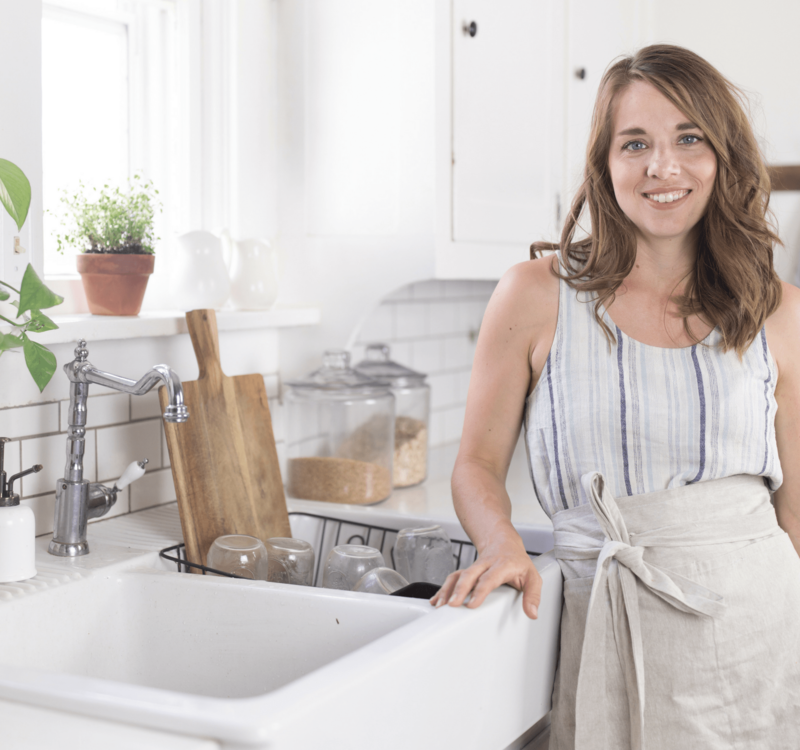 It is so diversified and I think the way that you set yourself up for that is by putting your content as many places as possible and repurposing content into something that can go as many places as possible. So, my recommendation is both YouTube and blog. 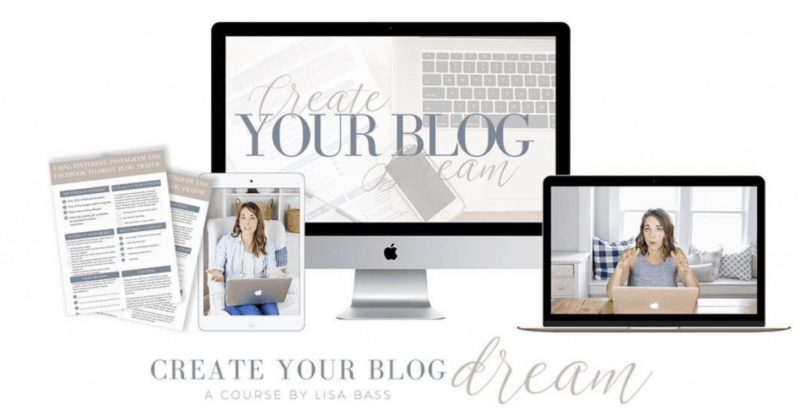 If you are looking to build your income, I created a course where I walk you through absolutely everything I have learned over the past three years to get to this point with my blog and online audience, and it is called Create Your Blog Dream. In my new blogging course I have 60+ video tutorials that walk you through everything from choosing brand colors, a name and a niche to tech tutorials, like getting a domain name, setting up hosting and installing wordpress. We talk photography tips, search engine optimization and growing an email list. Everything you need to be successful is there. 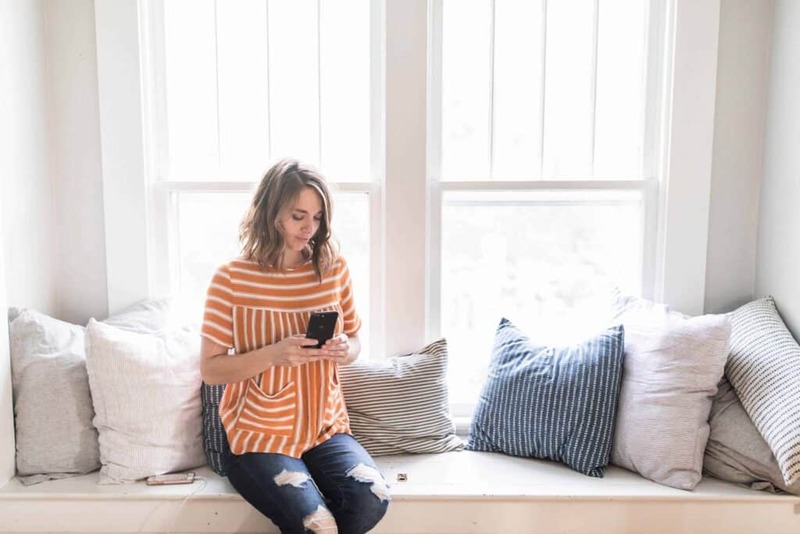 There is also an exclusive private Facebook group that you can use to bounce ideas off other bloggers, grow your tribe and have your questions answered. 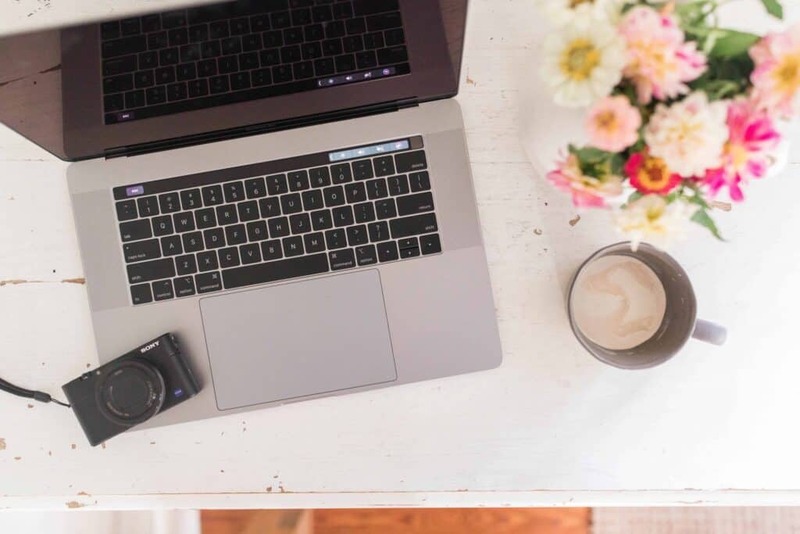 No matter what your message is, whether you’re trying to grow a ministry, sell real estate or promote your handmade candle business, I truly believe that blogging and growing an online platform is the way to do just that! I walk you through how to grow social followings on Facebook and Instagram and how to create graphics for Pinterest to grow blog traffic. I have found that what is most attractive and what most attracts me to a blog or a channel is the personality of the person. There is nothing unattractive about your channel. It looks pretty, it’s helpful, your humble way of presenting, your easy to follow instructions, your kind and easy going style of living is irresistible and what keeps me coming back. You have such great taste and such talent for making things. That is nearly impossible to replicate. I wish those who want to the best of luck. Great post! And great information on how to proceed! I was wondering what you did when you say that you focused on YouTube more. Was it just posting more frequently? Or did you spend hours commenting and watching other people’s videos? And I’m not sure if you’re aware but there is a great transcription service that will transcribe your Video word for word into a text form. It’s Rev.com and it’s super affordable! I highly recommend it, and it would save you time from having to type out what you say on a video. Every little bit counts! Thanks so much for making such great videos! I love the aesthetic and the detail! 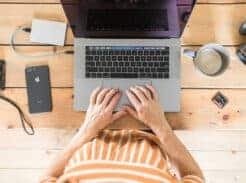 Love your site, and super interested in your course, it looks quite in-depth and practical for someone who is already blogging but needs a path for getting more mileage out of all that content lol! I have so much going on (blogs and websites) but just need some clear instruction on where it’s best to use my time. Does your course cover how to make videos? Equipment you recommend etc? The sentence where ” In May my husband quite his job”.. I think you meant ” quit” his job.